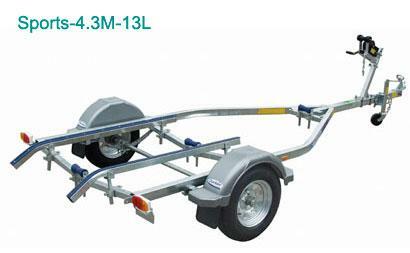 Material Other Whether you want a 3.7M trailer for your tinnie or a trailer for your personal watercraft, our Sports Series has a comprehensive range of models to suit you. Don't settle for less than the extra strength, styling and quality that this Dunbier Sports Series offers. Suited for both aluminium and fibreglass hulls as well as Jet Skis. Please contact us to discuss the correct trailer for your needs.